Do you feel sad more days than not? Do you have trouble sleeping and notice that your appetite is off? Do you feel tired and like you are walking through quick sand during the day? Are you a caretaker who often forgets to take care of yourself? Therapy can be a place where you can develop tools to correct these symptoms and find more empowerment and effectiveness in your relationships. Do you often feel keyed-up and unable to relax? Do you feel each day like you have more things to do than there is time to do them? Do you take care of everyone else and then often find there is no time left in the day to take care of yourself? Therapy can be a place where you can learn the skills to find more balance and peace in a hectic life. Have you experienced traumatic events in your life that intrude on your present life no matter how you try to push them away? Do you feel on edge and have intrusive memories that get triggered out of the blue? Post-traumatic stress can be effectively treated with research proven methods. Are you struggling in your relationships with your adult children? Do you find yourself taking care of family members while your needs continue to go unmet? Do you feeling taken advantage of? Therapy can help you to set healthy boundaries and learn to care for yourself. Do you have a child who does not seem to be functioning well at school? Do they seem inattentive and trouble organizing themselves without hands-on management? Do they have some subjects that seem unusually difficult relative to others? I can help to sort through possible causes of these challenges with comprehensive psychological and academic testing. B.A. 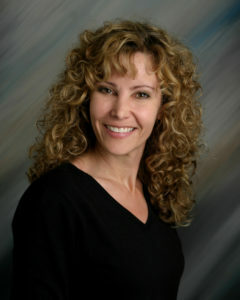 with Honors in Psychology, Univ of N. Carolina at Chapel Hill; Masters Degree in Clinical Psychology, Auburn University; Doctorate Degree Clinical Psychology, Auburn University; Residency in Clinical Psychology, Baylor College of Medicine; Licensed: State of Texas; Practicing in Houston area for over 30 years; Member: American Psychological Association; Published several papers on the subject of eating disorders and has presented her research at national conventions. I will be happy to discuss your needs with you and help you to start your journey toward feeling more empowered and content in your life. Why not start the journey today?